Recent congressional hearings have highlighted the chasm between Democrats and Republicans on the issue. 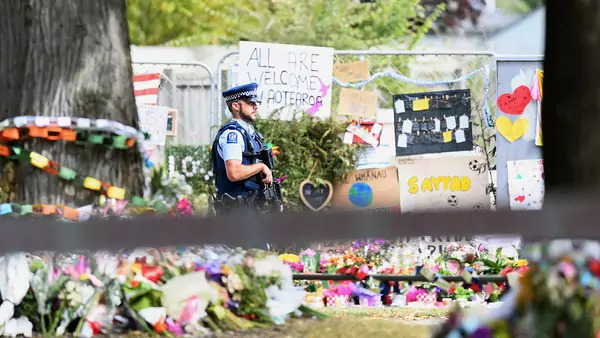 House Judiciary Committee Chairman Jerry Nadler convened a hearing in the aftermath of the New Zealand attack, saying the internet has aided white nationalism’s international proliferation. “The President’s rhetoric fans the flames with language that—whether intentional or not—may motivate and embolden white supremacist movements,” he said, a charge Republicans on the panel disputed. The Senate Judiciary Committee, led by Ted Cruz, held a nearly simultaneous hearing in which he alleged that major social media companies’ rules disproportionately censor conservative speech, threatening the platforms with federal regulation. Democrats on that panel said Republicans seek to weaken policies dealing with hate speech and disinformation that instead ought to be strengthened. European Union. The bloc’s twenty-eight members all legislate the issue of hate speech on social media differently, but they adhere to some common principles. Unlike the United States, it is not only speech that directly incites violence that comes under scrutiny; so too does speech that incites hatred or denies or minimizes genocide and crimes against humanity. Backlash against the millions of predominantly Muslim migrants and refugees who have arrived in Europe in recent years has made this a particularly salient issue, as has an uptick in anti-Semitic incidents in countries including France, Germany, and the United Kingdom. In a bid to preempt bloc-wide legislation, major tech companies agreed to a code of conduct with the European Union in which they pledged to review posts flagged by users and take down those that violate EU standards within twenty-four hours. In a February 2019 review, the European Commission found that social media platforms were meeting this requirement in three-quarters of cases. New regulations under consideration by the bloc’s executive arm would extend a model similar to Germany’s across the EU, with the intent of “preventing the dissemination of terrorist content online.” Civil libertarians have warned against the measure for its “vague and broad” definitions of prohibited content, as well as for making private corporations, rather than public authorities, the arbiters of censorship. India. Under new social media rules, the government can order platforms to take down posts within twenty-four hours based on a wide range of offenses, as well as to obtain the identity of the user. As social media platforms have made efforts to stanch the sort of speech that has led to vigilante violence, lawmakers from the ruling BJP have accused them of censoring content in a politically discriminatory manner, disproportionately suspending right-wing accounts, and thus undermining Indian democracy. Critics of the BJP accuse it of deflecting blame from party elites to the platforms hosting them. As of April 2018, the New Delhi–based Association for Democratic Reforms had identified fifty-eight lawmakers facing hate speech cases, including twenty-seven from the ruling BJP. The opposition has expressed unease with potential government intrusions into privacy. Japan. Hate speech has become a subject of legislation and jurisprudence in Japan in the past decade [PDF], as anti-racism activists have challenged ultranationalist agitation against ethnic Koreans. This attention to the issue attracted a rebuke from the UN Committee on the Elimination of Racial Discrimination in 2014 and inspired a national ban on hate speech in 2016, with the government adopting a model similar to Europe’s. Rather than specify criminal penalties, however, it delegates to municipal governments the responsibility “to eliminate unjust discriminatory words and deeds against People from Outside Japan.” A handful of recent cases concerning ethnic Koreans could pose a test: in one, the Osaka government ordered a website containing videos deemed hateful taken down, and in Kanagawa and Okinawa Prefectures courts have fined individuals convicted of defaming ethnic Koreans in anonymous online posts. What are the prospects for international prosecution? Cases of genocide and crimes against humanity could be the next frontier of social media jurisprudence, drawing on precedents set in Nuremberg and Rwanda. The Nuremberg trials in post-Nazi Germany convicted the publisher of the newspaper Der Sturmer; the 1948 Genocide Convention subsequently included “direct and public incitement to commit genocide” as a crime. During the UN International Criminal Tribunal for Rwanda, two media executives were convicted on those grounds. As prosecutors look ahead to potential genocide and war crimes tribunals for cases such as Myanmar, social media users with mass followings could be found similarly criminally liable. Andrew Sellars sorts through attempts to define hate speech. Columbia University compiles relevant case law from around the world. The U.S. Holocaust Memorial Museum lays out the legal history of incitement to genocide. Kate Klonick describes how private platforms have come to govern public speech. Timothy McLaughlin chronicles Facebook’s role in atrocities against Rohingya in Myanmar. Adrian Chen reports on the psychological toll of content moderation on contract workers.